Our Mission is simple: To Enrich Lives Through Tennis & Education. Our Impact: To make tennis a sport that is inclusive and accessible to all people and communities making it possible for them to enjoy the mass health and social benefits of the sport while expanding their personal potential. We use tennis as a means to make a real difference - changing lives, building futures, investing and providing so all people can maximize their potential. We give to individuals and community-based tennis projects of all kinds, but especially those that focus on growing tennis for youth, wheelchair tennis, underserved populations and programs we believe will have a lasting impact. 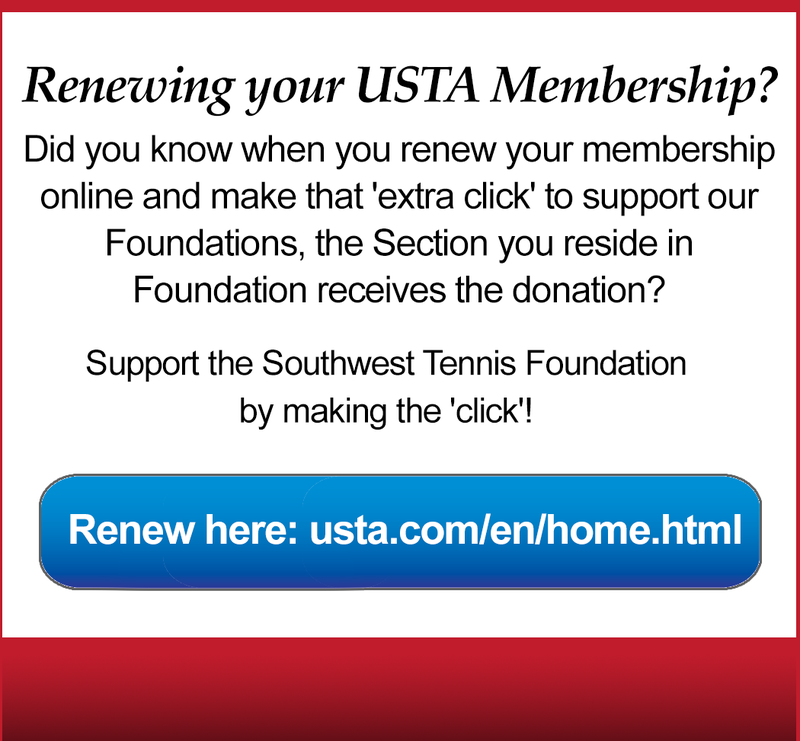 As the charitable and fundraising arm of USTA Southwest, the Southwest Tennis Foundation, Inc. is a separate 501 (c)3 entity that provides financial support for the mission, "Enriching Lives Through Tennis and Education" throughout Arizona, New Mexico and El Paso County, Texas. Grants and Scholarships are available for applicants that our reside within the Southwest Section. ​ Arizona, New Mexico and El Paso County, Texas.